What could be a better gift? 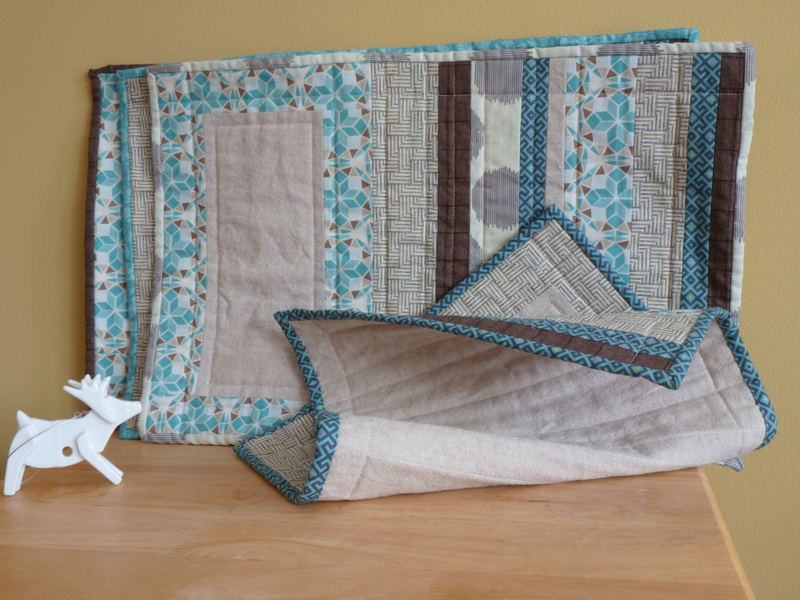 Or a more difficult one to choose by a non-quilter, given the unknown (and expanding) size of Emily’s stash? Happily, our non-quilting (but sympathetic to the obsession) bro M gifted us some lovely fat quarters this Christmas. 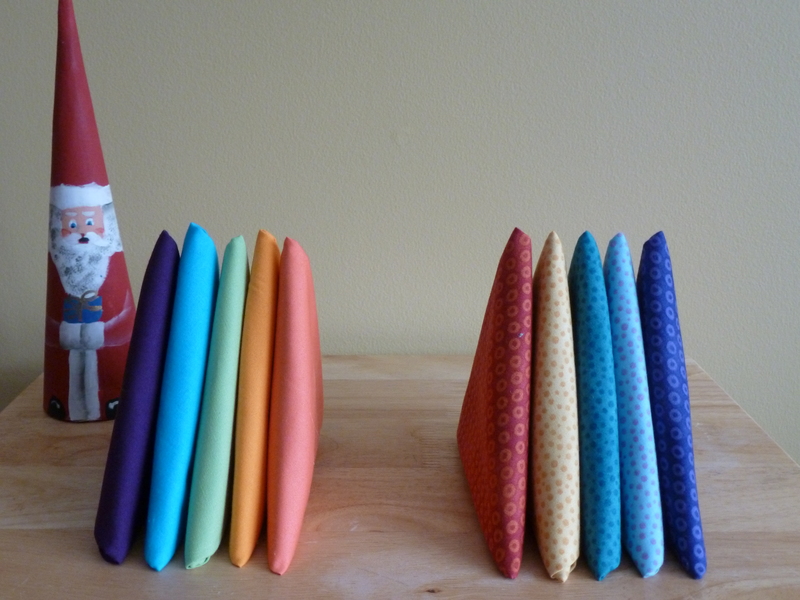 Stéphanie’s are the beautiful array of Kona solids (left), and Emily’s are the polka dots (right). 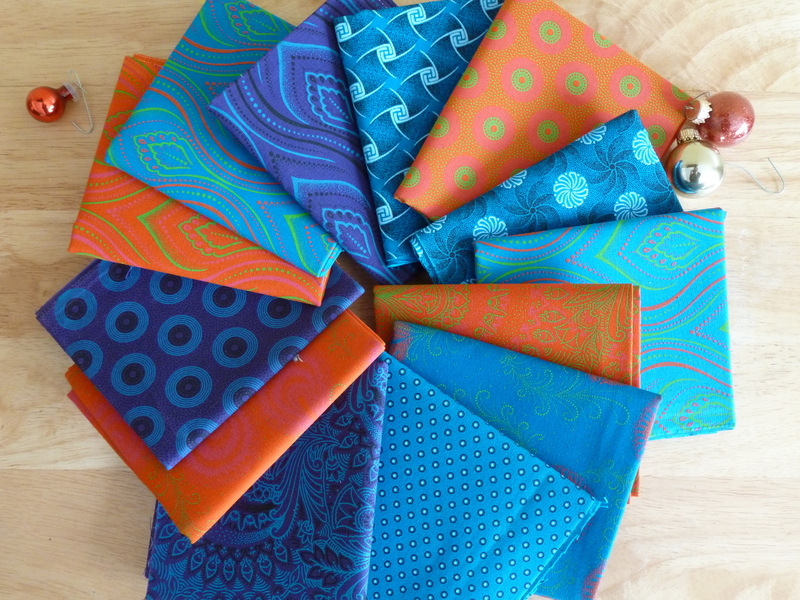 Stéphanie also received, from the parents this time, some fat quarters of Shweshwe fabric, made by Da Gama Textiles. It has a neat history of being starched for shipment by sea, and so is very stiff (and smells oddly perfumey). 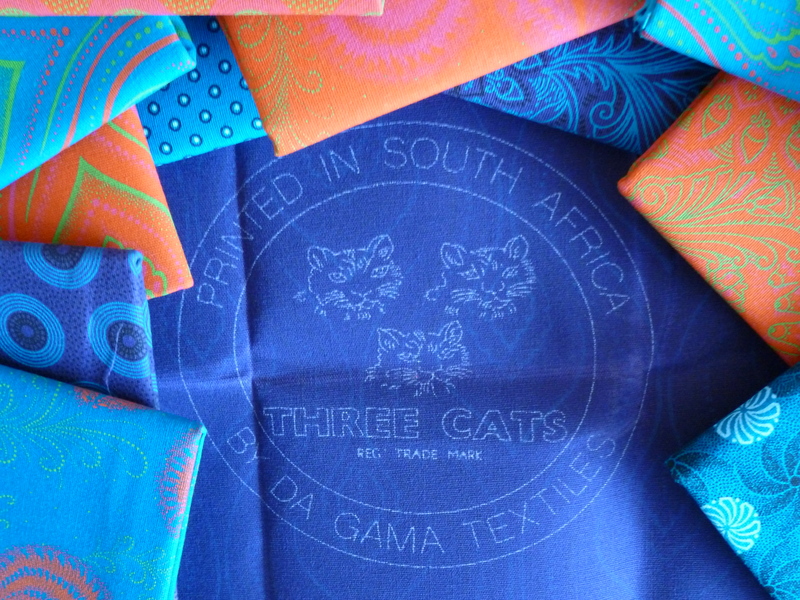 Da Gama Textiles explains the history and process on their site. 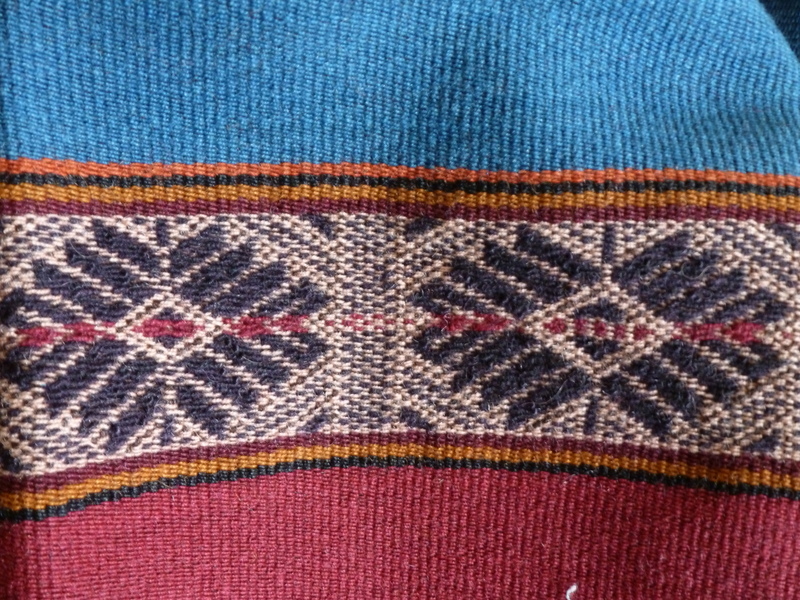 Although not a textile, Emily received some hide, with the intention of beading and hand-sewing some moccasins. 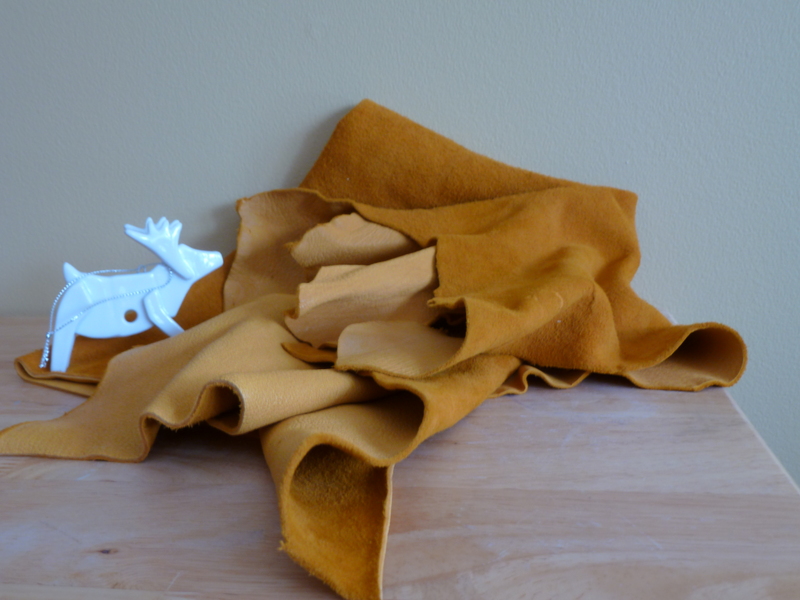 We can’t remember if it is moose or deer, but either way is soft and will be a good project between quilts! 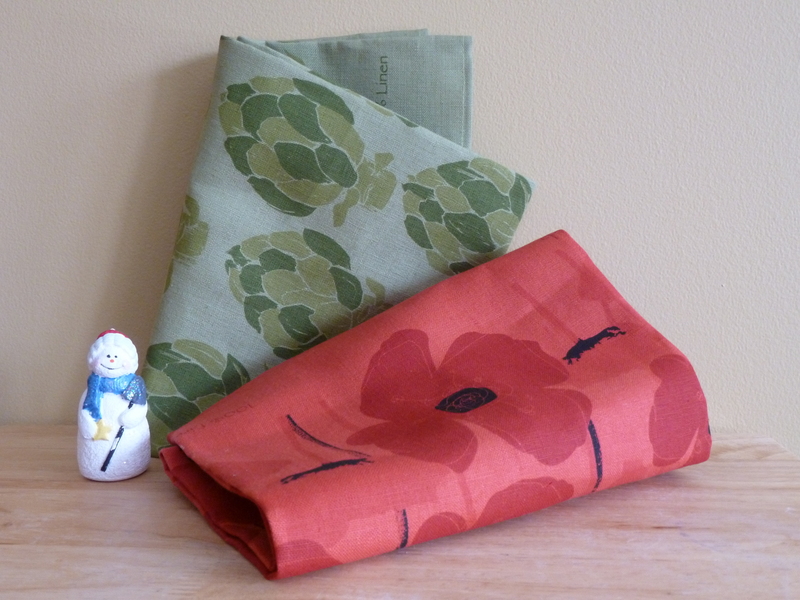 Bought with the intention of drying dishes, Michèle was gifted some linen tea towels, made by Rain Goose Textiles. 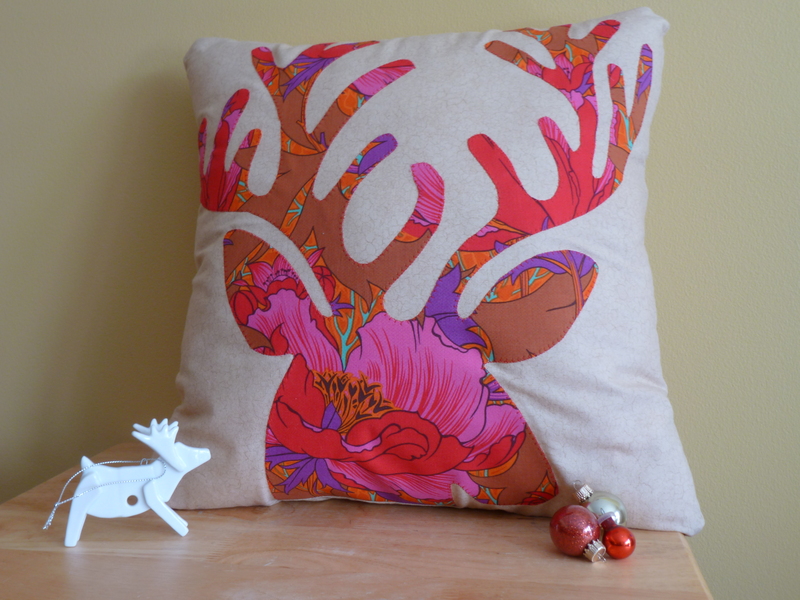 They were declared too nice for such a menial life, and will probably be re-purposed as pillows. Go figure. 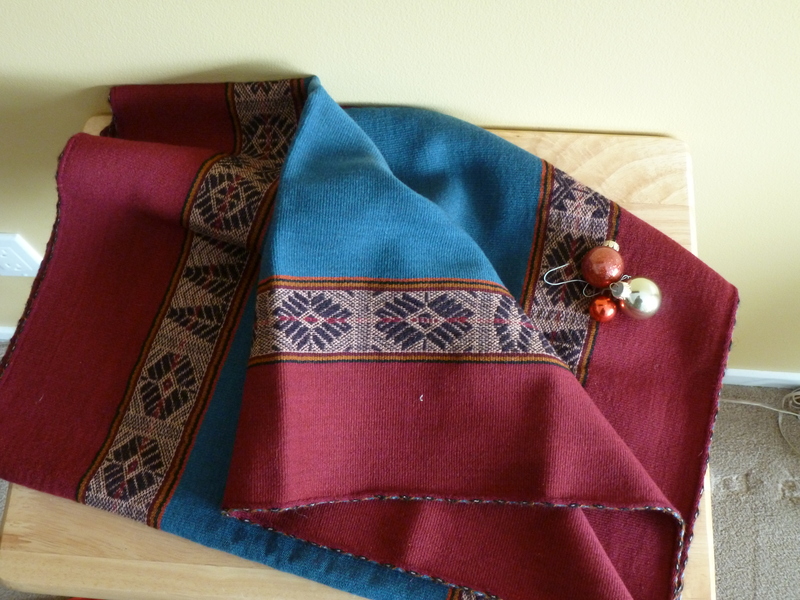 Michèle also received a beautiful woven wool table runner (or shawl) from a trip to a weaving cooperative in Peru. 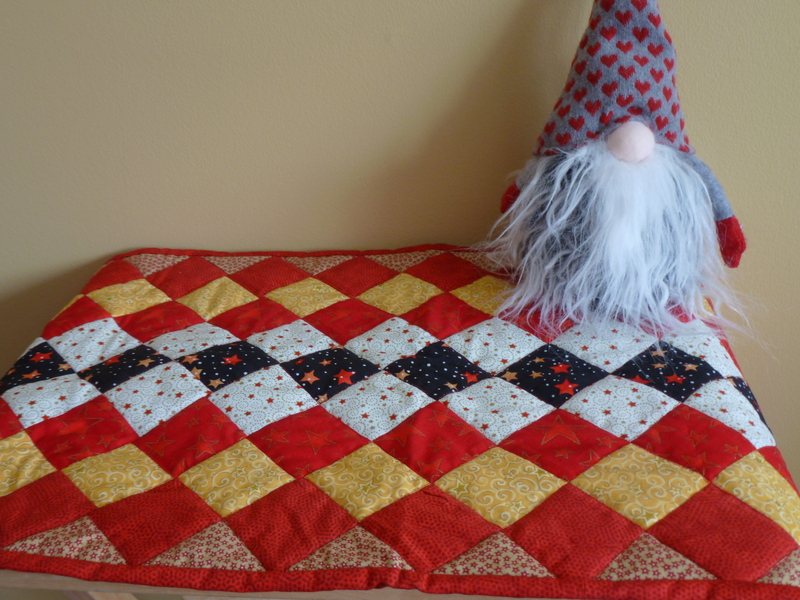 Stéphanie, taking pity on poor quilt-less M, made him placemats (…mini quilts. sort of) for Christmas. The backs are a linen-cotton blend with a neat feel and look, a bit more rugged than just cotton. The rest of the fabric (bought at the same time but not a set so of unknown identity) is cotton, made from 5 fat quarters. 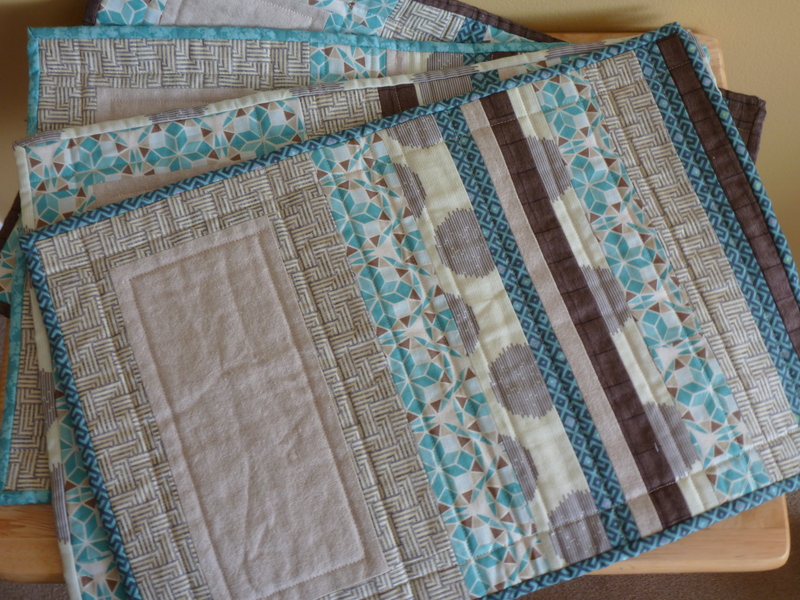 It was close with that amount, and she actually ran out of binding for the last placemat but he didn’t seem to notice. 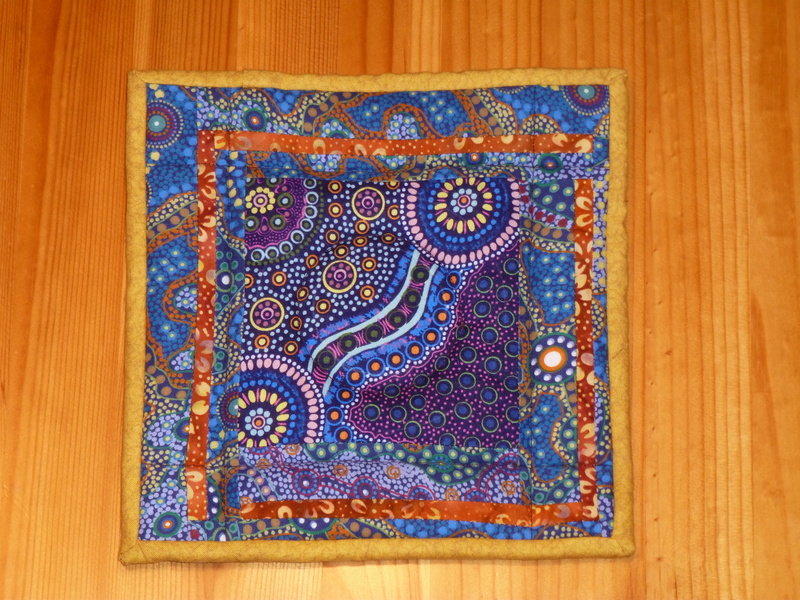 For a family friend, Stéphanie made a trivet. 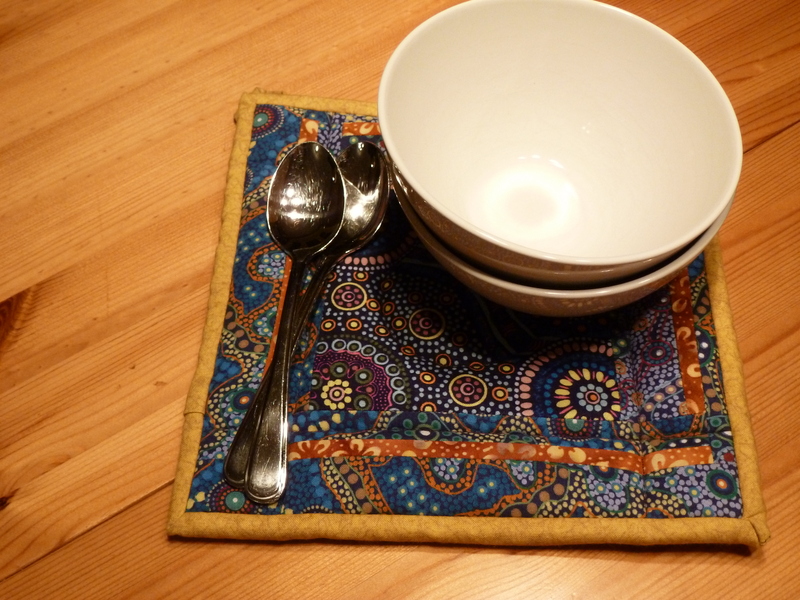 (I love love love making trivets.) 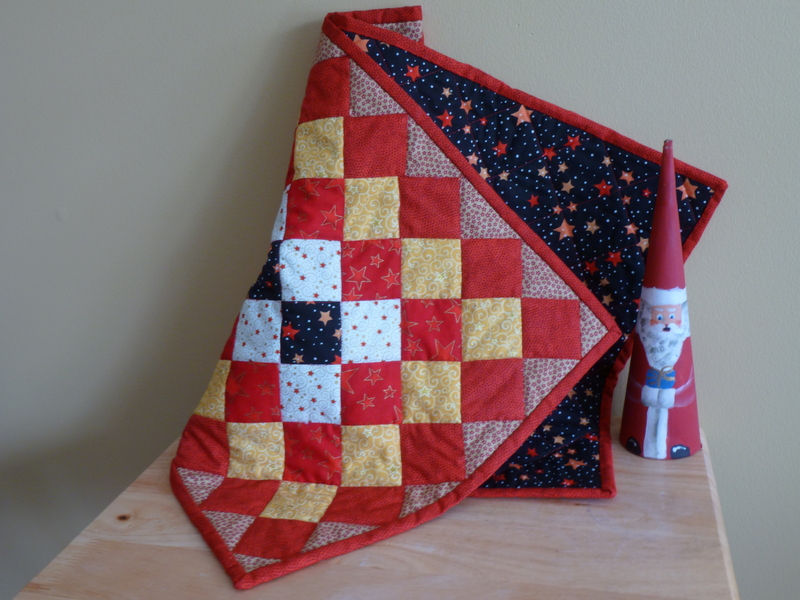 They are fun to choose the fabric, have simple quilting, and are finished so quickly! 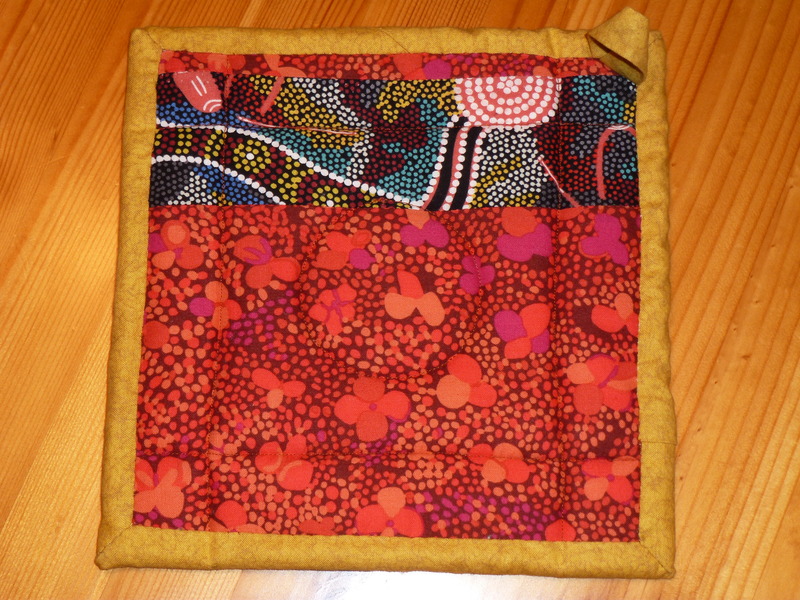 She used Australian Aboriginal fabrics by M & S Textiles, specifically “Wild Bush Flowers Purple” by Layla Campbell and “Yalke Blue” by June Smith along with some batik print on the front, and again an Australian Aboriginal print on the back with an unknown name (should really start labelling the stash….). There are 5 layers of batting inside, but in retrospect, should have used an old ironing board cover we have to make it more heat resistant. It was quilted pretty simply with a walking foot, even the circle. 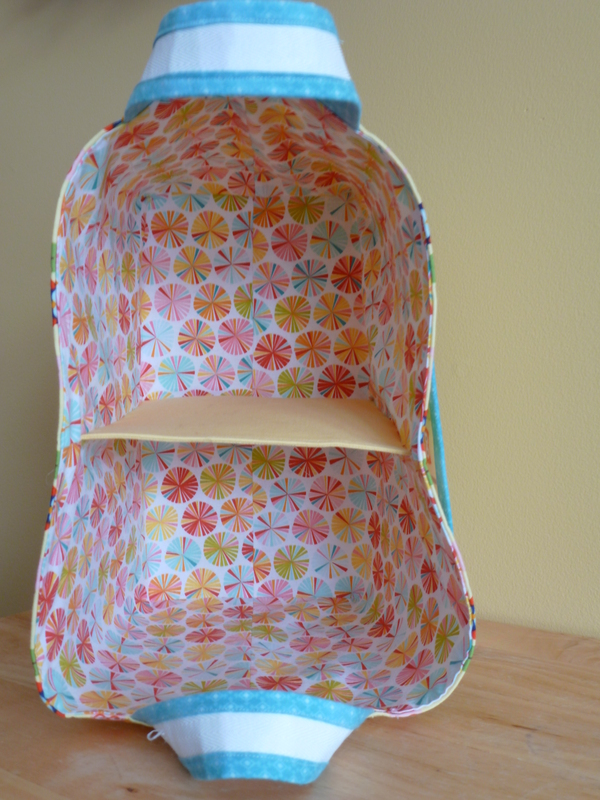 Michèle made a beautiful basket using the “Divided Basket” pattern from Noodlehead and fabrics from the Riley Blake Designs’ “Fancy Free” line and Kona solids among others. 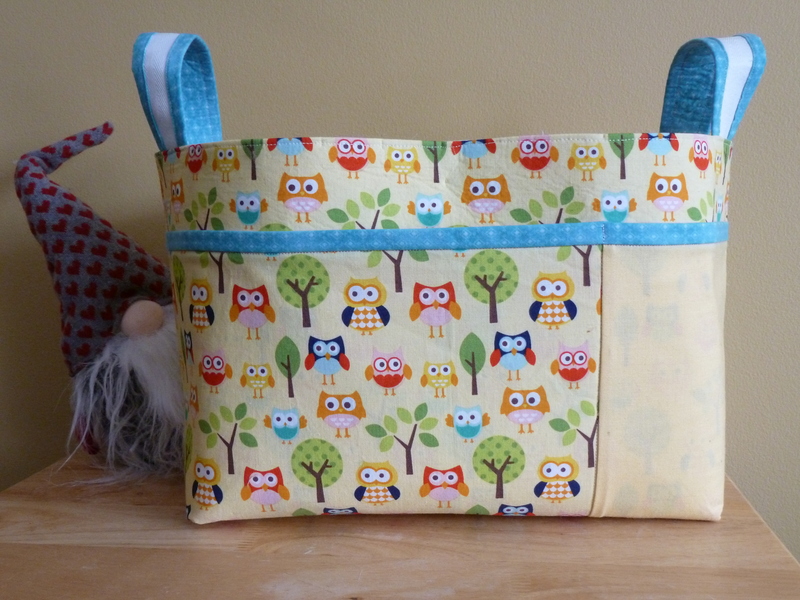 It is lined with a very stiff interfacing, and will be perfect to store cloths or diapers. 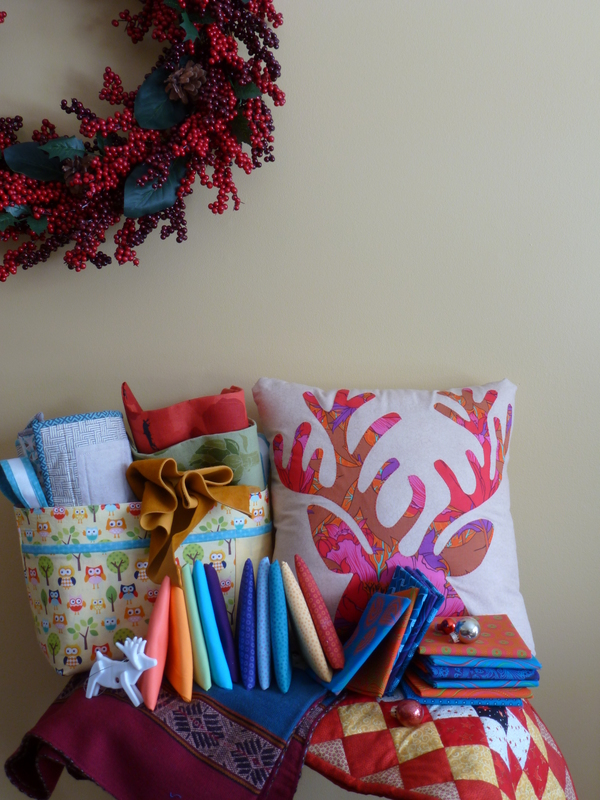 Not only that, but we were surprised by gifts from L for each of us to take home; a Christmas table runner for Michèle, and appliquéd reindeer pillows for Emily and Stéphanie. So I guess you can understand why we’ve been so absent from posting in the rush for Christmas! We hope you all had a wonderful Christmas and holiday, and look forward to sharing more (and perhaps more frequently!) in the New Year! ← Even more baby time!